PS&S was engaged to design the phased renovation of the historic Aqueduct Racetrack into a full-service four-star racetrack/casino with 4,500 video lottery terminals (VLT’s), live racing, and simulcasting from around the country. The site, which is ideally situated in the New York City Metropolitan area, has quick access to international airports, New York City, as well as an immediate connection to the A train at an intersection of major roadways. 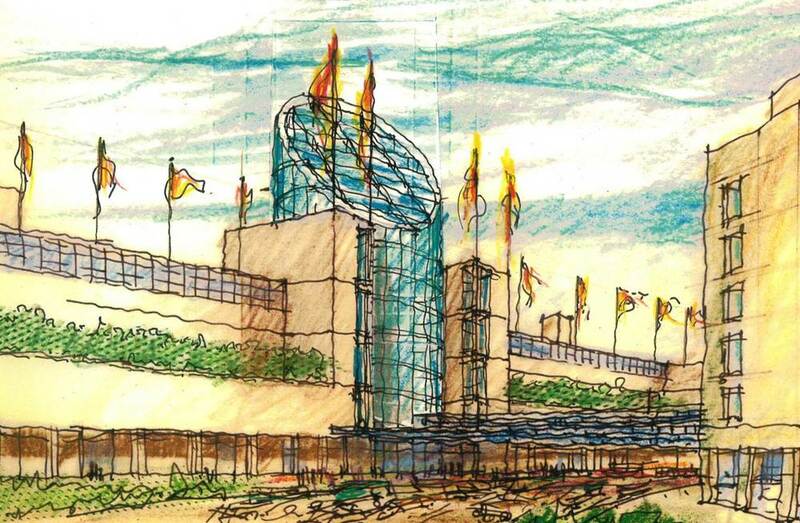 The challenge was to adapt this site and an existing racetrack building encompassing nearly one million square feet to create an expanded mixed-use themed hospitality venue including gaming, a historic raceway, a full-service hotel with amenities, a theater, restaurants, a park and parking facilities. 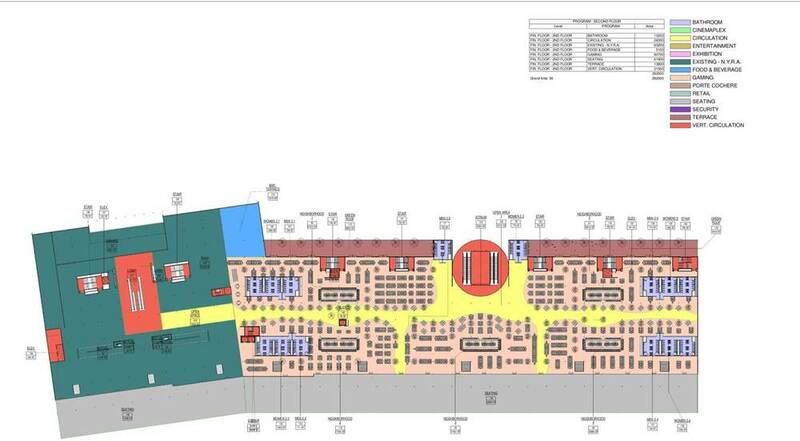 PS&S developed a master plan to take the expansive floor plates of the existing grandstands and initiate seven themed neighborhoods, constructed in phases, which will be complemented by multiple themed-restaurant dining choices, a retail shop concourse, an Aqueduct Racetrack Museum, and community meeting space with plans for a future 2,500-seat live entertainment facility, 300-room hotel, banquet/conference center, and 2,400-car parking garage. These entertainment venues will be coupled with a new integrated park for guests and visitors, providing a great place to gather for social events. 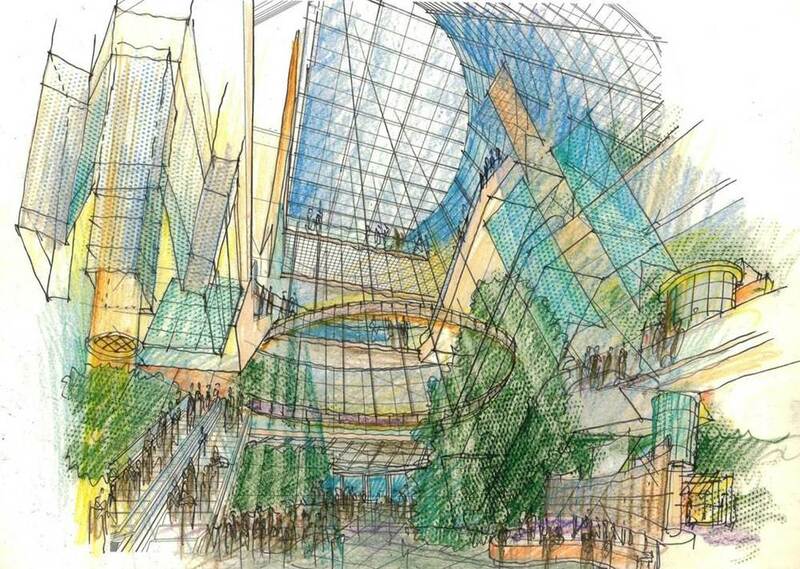 A strong, colorful entryway constructed with a transparent glass drum will feature skylights allowing a sustainable entrance for guests that will provide access to all levels. A porte cochere on the grade level provides covered access for guests, which is accented by a water feature. The trees along the edge of the grandstand building have been preserved in place to provide a landscaped green for the local community. The connection to the city is also enhanced with a new, state-of-the-art elevated covered walkway from the A train. PS&S provided full architectural and engineering services.